Welcome to my new series, "Don't Forget the Details!" 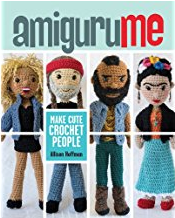 In this series I'll be showing you a tip about how to bring your AmiguruME to life with little accessories or techniques to make your dolls shine. Sometimes I finish a doll and think, "What's missing?" I try to think hard about the subject of my doll and add in elements of that person's personality. 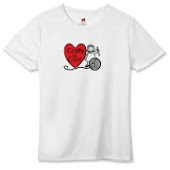 Sometimes its a musical instrument, sometimes its a facial expression, sometimes its jewelry, or a hat, or a t-shirt. 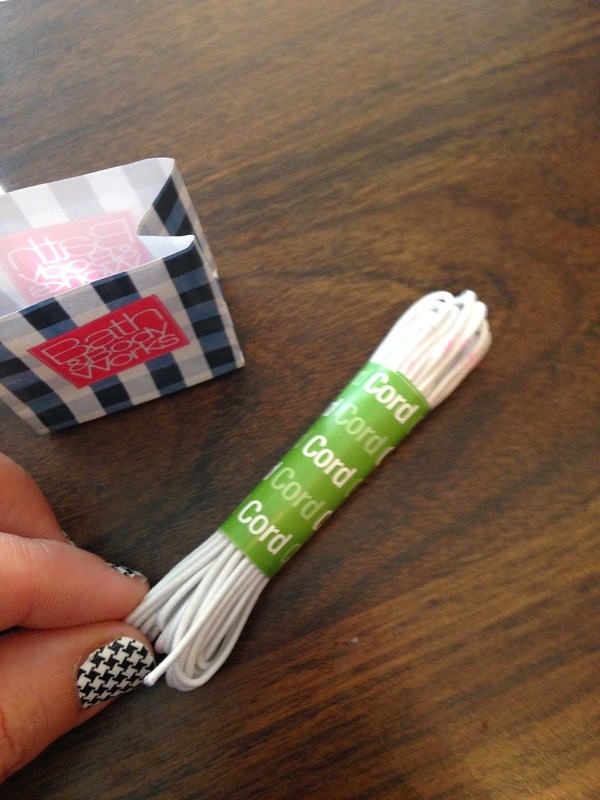 I've got an idea for you this week that doesn't require any crocheting at all! 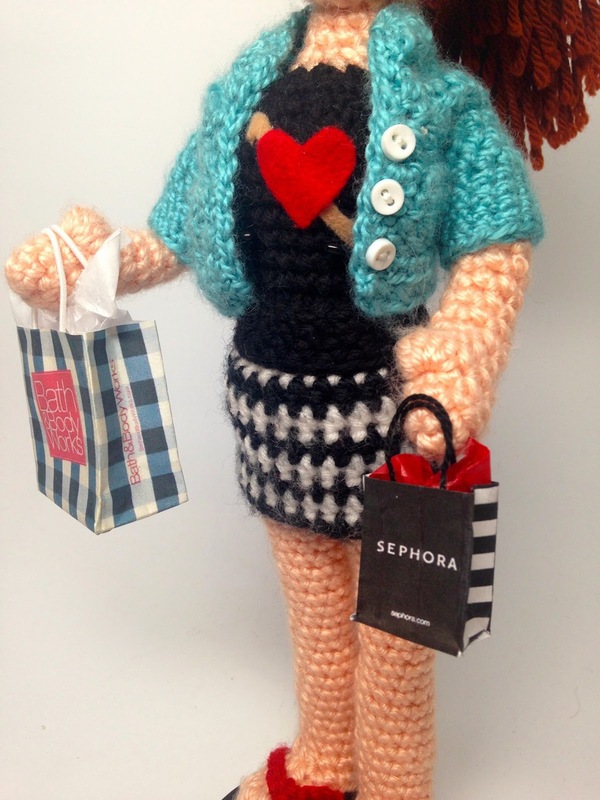 Does the person you're making a doll of love to shop? Are they always buying stuff from Target, or running to the Apple store for the latest iPhone, or hanging out at Barnes and Noble? 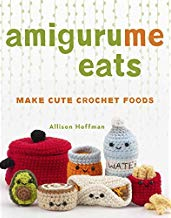 How cute would it be to make them a little shopping bag from their favorite store for the AmiguruME to hold? 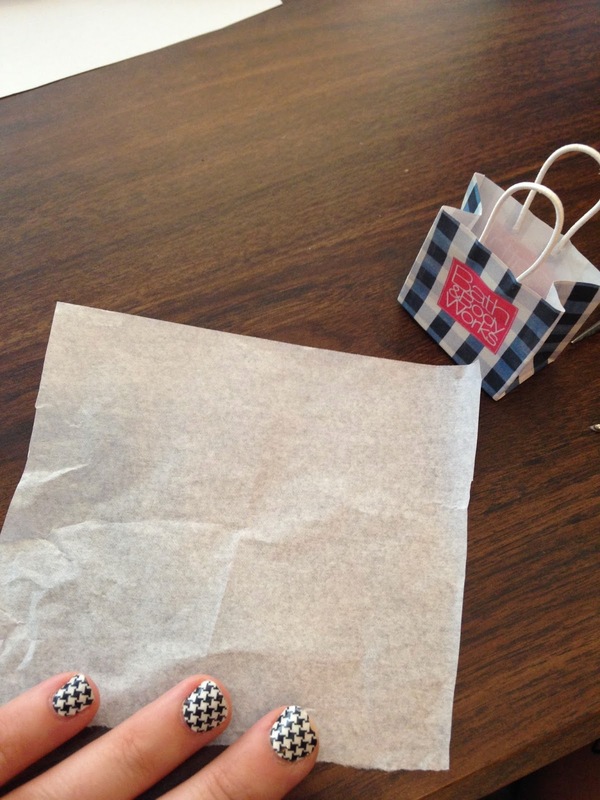 Gently open up the bag at all the seams until you have a flat long piece of paper. Lay it out on the floor where you have good lighting. 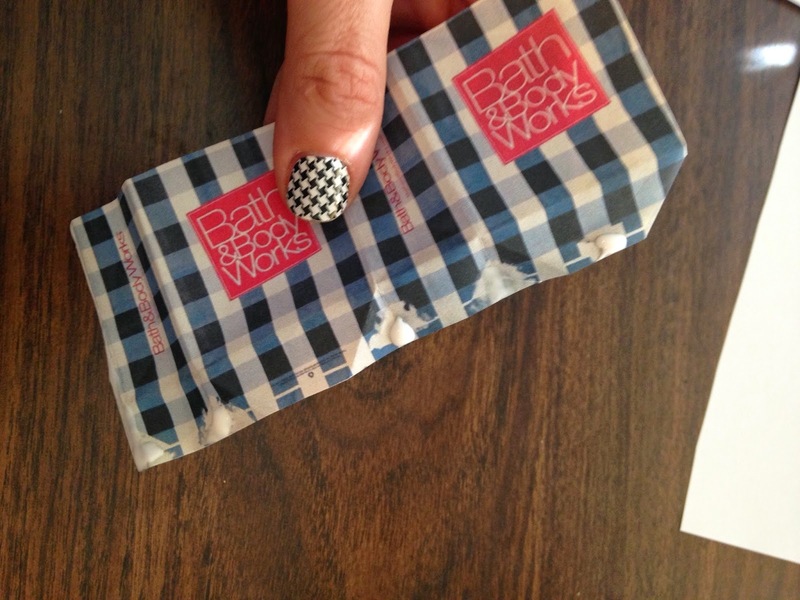 Don't worry about spots that are torn or peeled away. 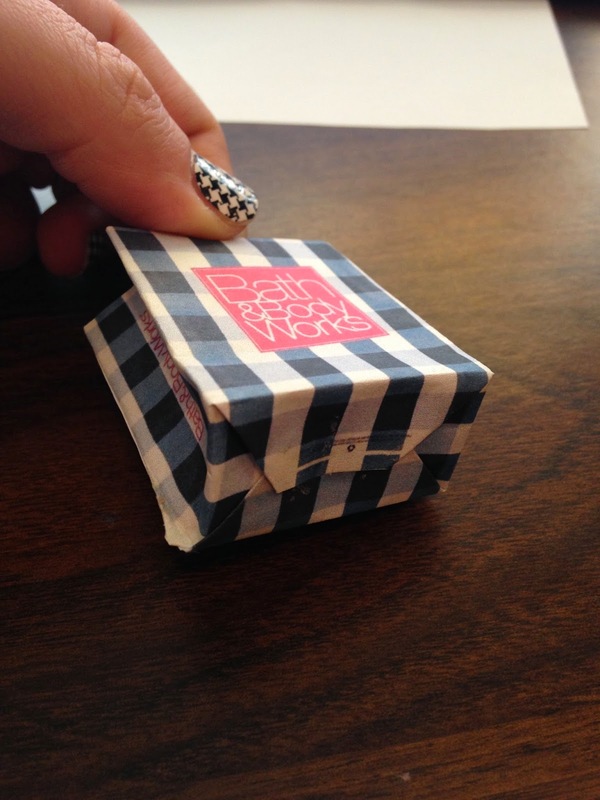 They won't show once you fold it up and it will probably help you figure out where to glue it together later! 2. 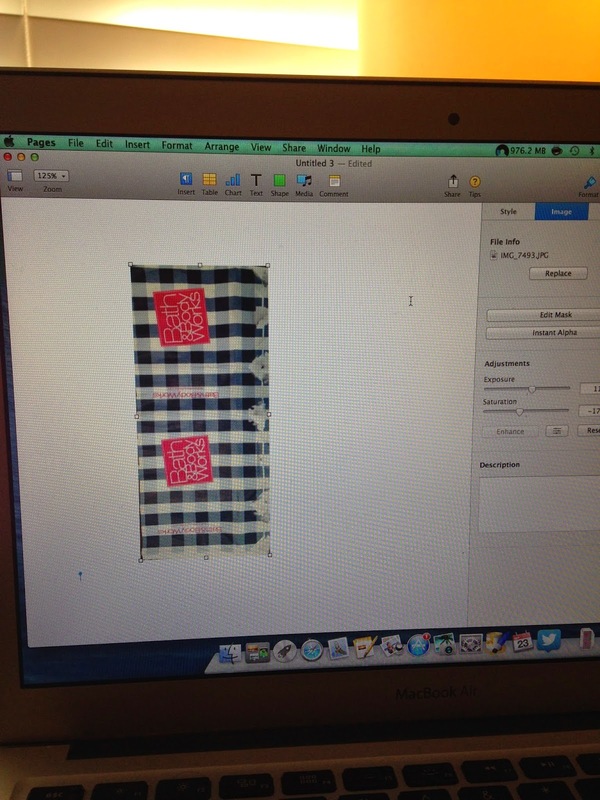 Next either take a photo of the entire bag or use a scanning app on your phone (I use Genius Scan). I like the scanning apps because they can crop out lots of background and you can skew the photo if you didn't capture it totally straight. 3. Send the photo to your computer (I'm on a Mac and I usually just text it to my computer or email it to myself). Edit the photo now if you'd like, after you open it up on your computer. Now's the time to make sure the colors are correct. See how the image above is kind of yellowish? I corrected that later in iPhoto. You use whatever photo editing program you'd like. 4. In a word processing document (like Word or Pages on a Mac), open a new document and insert the photo into the page. Determine what size you'd like your bag to be. 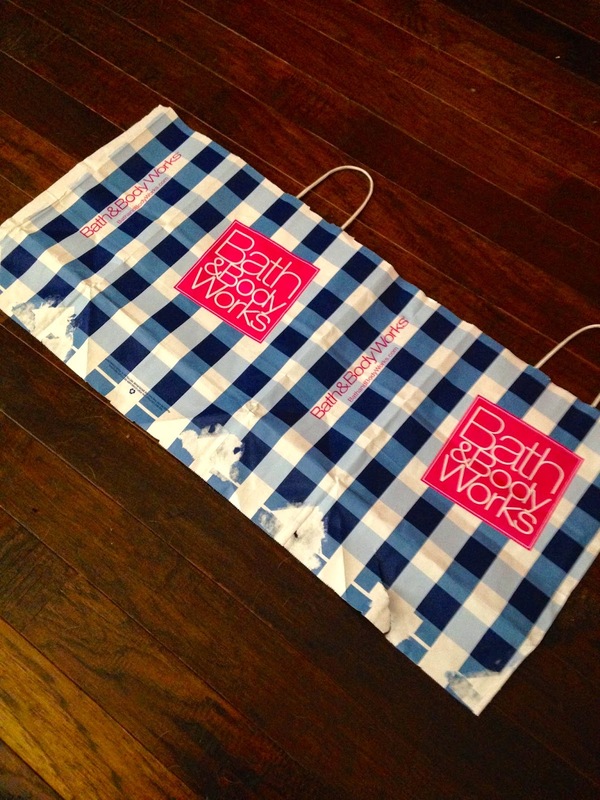 For the Bath and Body Works bag I made the photo 2" wide, and the length was determined by however wide the photo was. The width will be the height of the bag before you fold the bottom, so keep that in mind. 5. On regular printer paper, print the document. If you print onto cardstock you may have trouble folding all the pieces you'll have to fold, so I recommend just plain old copy paper. Cut the photo out. 6. 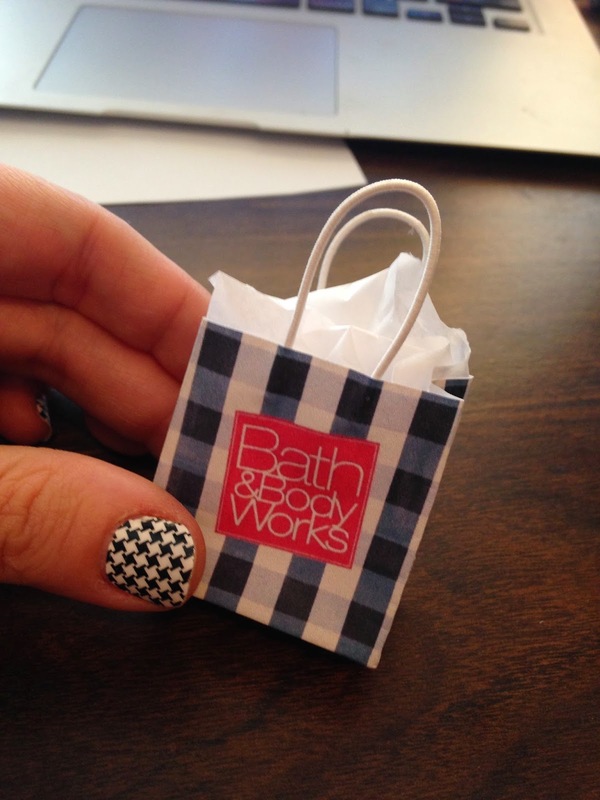 Using the original bag as a guide, make all the folds in the same direction as the bag. Folded in all the right places, glued and ready to assemble! 7. Before you glue anything, I'd recommend adding the handles now. Cut strands of yarn or elastic long enough to fit over the doll's hands. Tape or glue to the inside of the bag where the handles should be. 8. 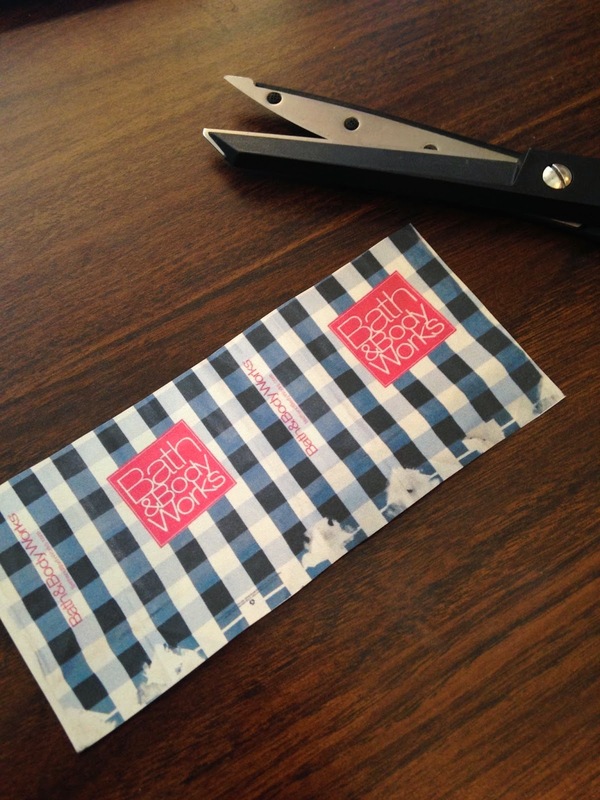 Glue along the long edge of the bag and fold the bottom inward, adding glue to the bottom seam. 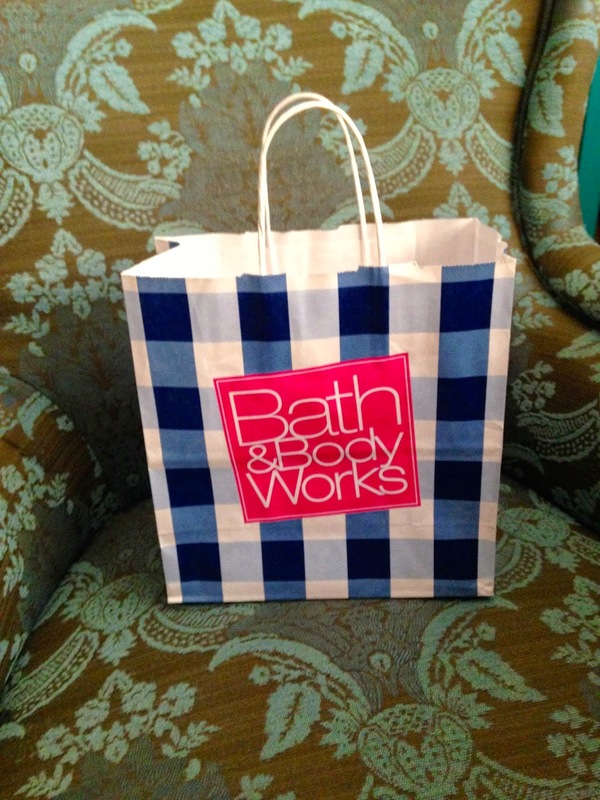 If you have trouble figuring out where to glue and fold, refer to your original bag. It should be pretty obvious. Done! Now add a little tissue paper like your AmiguruME is bringing home some good stuff and your shopping bag is ready. 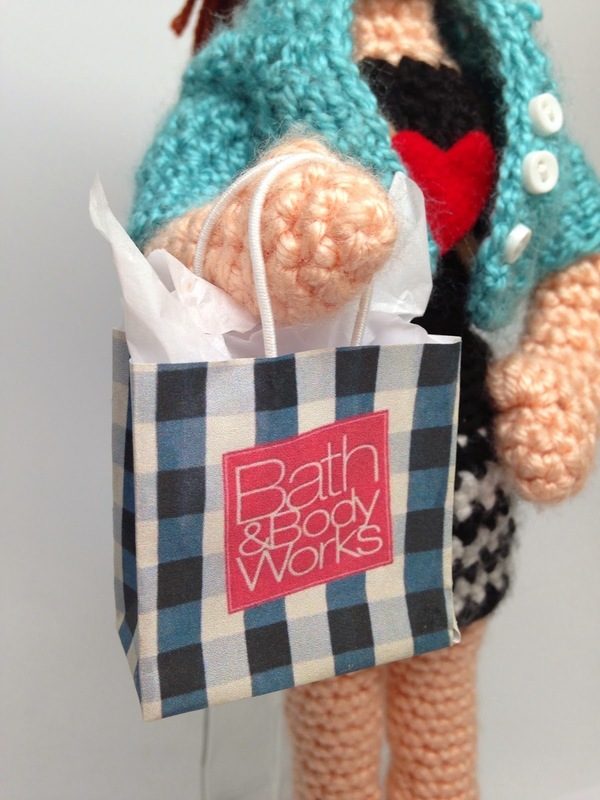 AmiguruME Allison loves Sephora and Bath and Body Works just like me! Adorable, huh?! 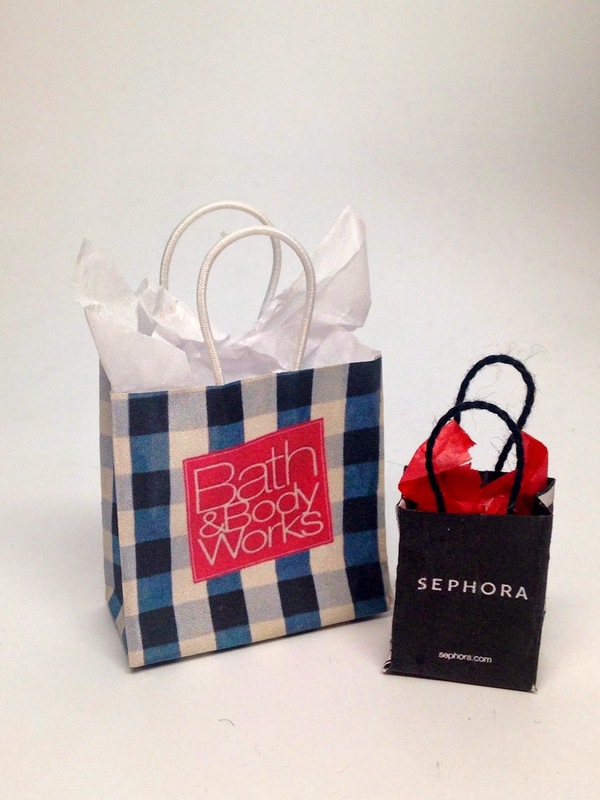 I made another for Sephora, because makeup. You know what I mean. 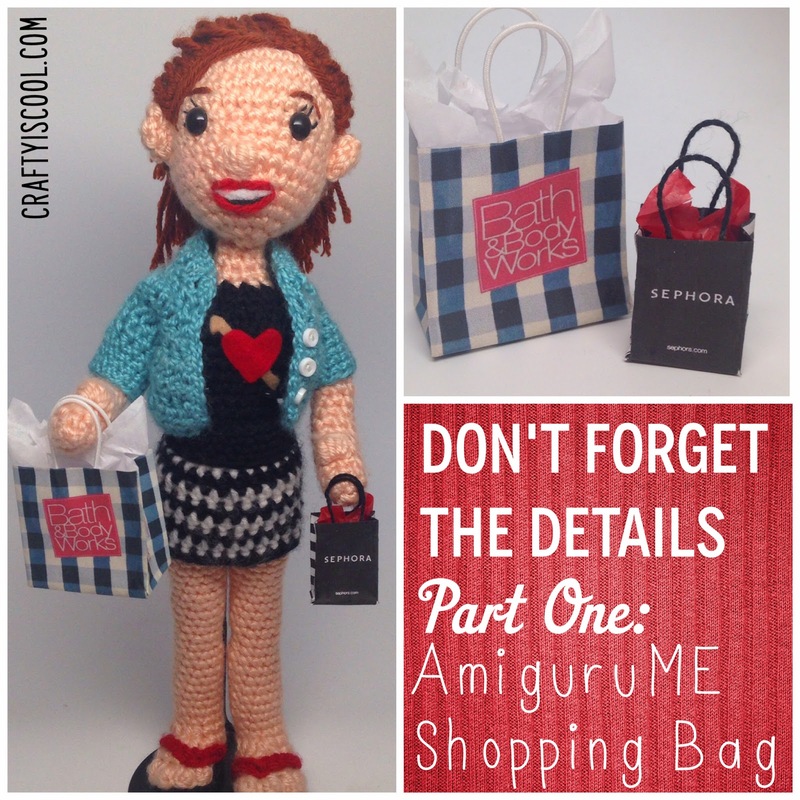 AmiguruME Bath and Body Works and Sephora Shopping Bags! What kind of bags will your doll have? 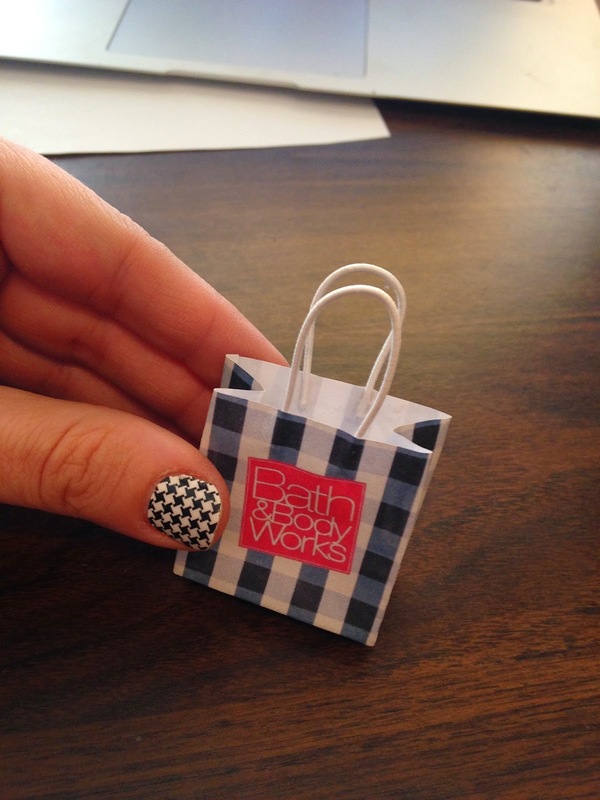 And can you imagine not stopping at shopping bags, but adorable little gift bags? With like tiny goodies inside? Cuteness!! That is incredible!! How would you do something like glasses or a pick (for hair) some accessory like that? Hello, I love this tutorial. It matches my personality perfectly: Shopaholic. 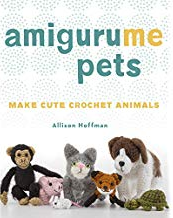 Could you do a tutorial on how to make amigurumi instruments? I would really appreciate it if you did. Thanks for this idea. I really like it. 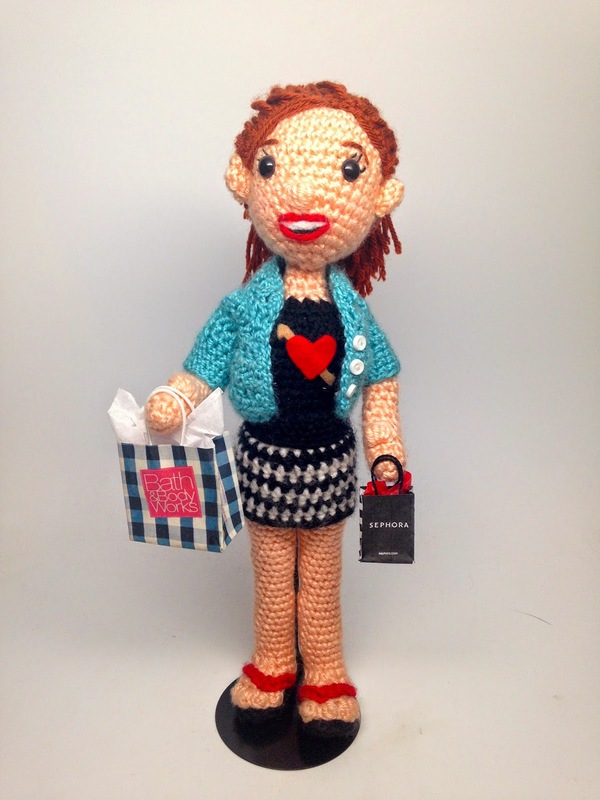 I bought your book recently and made my first doll. I'm planning others but had a question about something I couldn't find. I want to make a hooded sweater for a future doll and the book indicates there is a pattern to add a hood to the windbreaker pattern but I can't find it. Can you point me in the right direction?